This items is similiar to a traditional bottle but is flatter on the back to facilitate personal carrying. 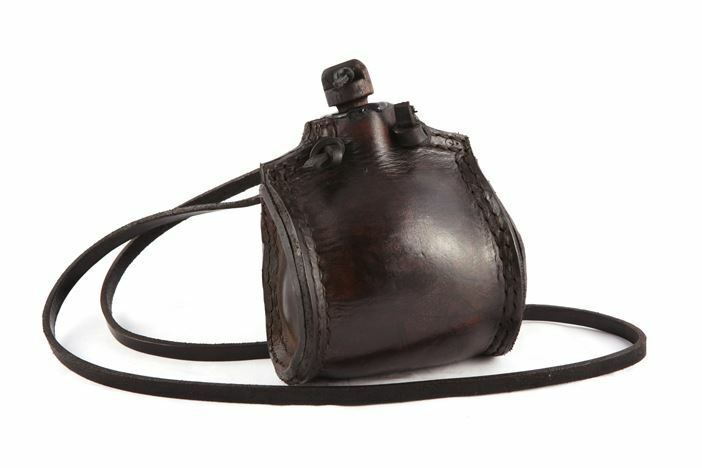 Our leather hip bottle is based on an item recovered from a 17th Century battle site. We can add a 'date' or 'initials' to this item. Please contact us prior to ordering if you require these additions. The bottle measures 14cm x 16cm.